We are always looking to work with the best roasters. Big or Small, new or old, if you have a passion for great coffee we are interested in working with you. Our subscription service will get you name in front of thousands of consumers looking to try a new experience. 12oz bags are ideal, this will allows our tester brew your coffee using several different methods. Single Origin Only. Currently, we do not include blends, esspresso roasts or decalf. A wide variety you never know what of your best will strike a fancy with our panel. Once we receive your samples, we will send an email saying thank you. We are very appreciative of every coffee you submit. We know the hard work and passion that goes into the entire process and would like to say thanks! 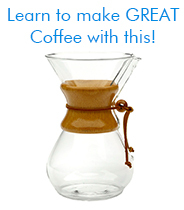 We will evaluate your coffee via a number of brew methods and by our panel. Only the best are selected. We will let you know you were not selected and are available to answer any questions you may have and share what we thought.